Thank you for listening to the Defining Success Podcast. Today I want to interview you! That’s right you, the listener of the Defining Success Podcast. This week on The Defining Success Podcast Facebook page I’m going to ask all of you, the listeners, questions that I often ask guests on the show. Take advantage of it this week! It would mean a lot to me. I think it would mean a lot to others, you’d be helping people and exposing them to your thoughts on success, passion, commitment and taking action. Go to our Facebook page and join in! When I started this podcast over a year ago I had no idea what to expect. I just sort of jumped right in. One of the questions I wanted to ask people was to define success; ask what does success mean. The very first person I interviewed, although it’s not the first episode (I think it’s episode 7), was Vic Braden. I actually didn’t even know I was going to be doing a podcast. I interviewed him. I recorded it with my cell phone, so if you’ve heard that episode of the Defining Success Podcast it’s pretty poor sound quality. I wasn’t trying to be conversational at all. I was planning on writing it up for a blog, but he told some pretty remarkable stories. He led an amazing life. He was a tennis coach, world-famous. One of the first people to travel to China after China opened their doors to the western world. He says, ping pong led the way to China and then it was Vic Braden. I wanted to see what he defined as success. Someone that I found to be so successful, you know, what did he think success was. That is why I started the Defining Success Podcast. That is why I ask the last question and always make it the same. Define Success, what is success for you? Now that I’ve been able to interview so many different people. I feel so blessed and grateful for the fact that, through this process, I’ve been able to meet so many amazing people that I would have never encountered otherwise. I also wanted to make sure it was valuable for the people out there listening. People like you! In today’s episode I really want to address you and address what it is you would like to get out of the Defining Success Podcast. I think success is defined by people. People that make decisions and take action. I really want to highlight those people, and I want to highlight people in completely different fields. That was the original intention. I could get people that have careers, jobs that they love. Like my dad, he was a journalist for the Orange County Register (He recently retired.) He absolutely loved what he did as a reporter and going to work everyday. He loved talking to people. He just found the career that he loved and knew that he was meant to be in. He did an excellent job as a reporter. I admire him greatly for that. Then there are other people that I’ve met. Business owners that are going out there and making their own business happen. They’re doing some really amazing remarkable things. By showing business owners, people in careers that they love, by showing this wide array of people– I think there is something there that everyone can latch on to. Each of these individual stories could probably connect with someone out there listening and maybe influence them in a way that is promoting them, making them feel better about themselves, that is making them want to take action on the things being said in these interviews. When I first started listening to podcasts it kind of felt like my head was exploding… I just had all these different ideas running through my head. I was getting so excited and amped up about the possibilities. From that point, taking action to do things was so much easier. Just because I was so excited about these new ideas and opportunities that I could experiment with and that I could try. The people that I’m interviewing, I’m trying to bring them in. So they can share their wisdom on things that get them excited and pumped up because that is something that would connect with any one listening to this podcast. Trying to find those tidbits, those little nuggets of information, that make your head explode with all these different ideas. I want to make sure that we’re achieving the mission and the purpose of this podcast. If you are listening to this podcast today, I want you to pretend that I’m interviewing you. I want you to reach out to me on our Facebook page. The Defining Success Podcast on Facebook. If you’ve been listening regularly, you know that I try to keep the interview light-hearted with a conversational tone. I ask questions in each episode of The Defining Success Podcast. Often the questions are fairly similar, and there are recurring questions that come up in many interviews. I’d like to give each of you an opportunity to define your success. This week I’m going to post questions that I would normally ask guest on the show, but this time I’m going to be asking you. I’d like for you to go to our Facebook page and answer those questions so that we can generate a discussion about what success means, how we define it, how do we get it, and also to learn a little bit more about you and what you do. I want the people that listen to this podcast — I want them to be able to connect with each other and share their thoughts. What was your life like before you started on the current career path that you’re in? Get a little background information. Tell us about yourself and what you were doing before you started your current career. What is one of the biggest mistakes you’ve made and what did you learn from it? This question gives a great opportunity for you to share a mistake you’ve made, something you’ve learned, and provide value for other people that are checking out that post on the Facebook page. What is the biggest success you’ve had? Maybe something that you’ve done that you’d like to share. What are some personal examples or stories of something that occurred in your business that altered the shape or path of your business? There are many other questions. Obviously the last question is to define success. What makes someone successful? Do you consider yourself to be successful. This week: Monday, Tuesday, Wednesday, Thursday Friday. I’m going to be posting those questions as if I’m interviewing you for the Defining Success Podcast. Then everyone who is listening, let’s share our thoughts and ideas on what it is that defines our success and we can get a chance to get to know each other. It’s a really great opportunity. Take advantage of it this week. It would mean a lot to me. I think it would mean a lot to helping other people, exposing other people to your thoughts on success, passion, commitment and taking action. Thanks for listening! Now go out there and find your success. 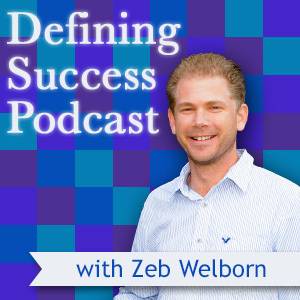 This entry was posted in Uncategorized, Zeb Welborn on Success and tagged Business Podcast, Define Success, Defining Success Podcast, Podcast, Podcast Host, Podcast Listeners, Podcast Listening, Podcasting, Success, Success Questions, Success Quotes, Zeb, Zeb Welborn on July 14, 2014 by Admin. Danielle Tucker’s Golf Club Radio Show has been broadcasting from Hawaii since 1999. Danielle interviews PGA, LPGA and International Golf Professionals, Young Rising Stars, Teaching Pros, Sports Shrinks, Authors, Mental Coaches, Golf Equipment Companies, Club Designers and Golf Broadcasters. Danielle Tucker is the host of Radio Golf Club. It’s a live radio golf show that takes place in Hawaii. One of the things that came up in the interview that I thought was interesting, because it’s a different point of view from other guests of our podcast. She’s doing this as a side job. This radio show, she does it on a saturday. She has her normal work week and then she goes in and does this podcast on a Saturday because it’s something she really loves and she has the opportunity to do it. She has a lot of energy and excitement. She’s professional and the way she carried herself, and that extra energy she put into the interview, not to mention the insights that she gave. One thing that I thought was unique was that she encouraged people not to leave their job to pursue something like what she is doing. She is doing her golf club radio show because she loves it and for no other reason. She works her regular job, which I’m sure she enjoys, but maybe not to the full extent that she’s living her passion in that sense. But, it creates the opportunity that she can do something that she loves. What I’m doing right now in my business I know is my passion. I know that I’m working hard and making things happen, I think it’s going to be good in that sense. For Danielle, I think she is doing exactly what it is that she wants to. You can tell that she loves and enjoys what she does, just like I love and enjoy what I do. I think there are opportunities out there for people. You have to choose the path that’s right for you. Some people think they have to leave their regular job and become an entrepreneur to find success not really thinking about their passion is. Think about what it is you enjoy and that experience and how can you make that happen. Sometimes that will mean extra sacrifices. Working a 9 to 5 job to do that stuff that she loves on the weekends. It’s really up to you to determine what that sacrifice is. Visit RadioGolfClub.com hear all Danielle Tucker’s episodes from 2005 and live streaming episodes every Saturday. Danielle has been in the broadcast business for a long time. Her past as a News Director, Co-Host, all built her experience working in a live radio environment. Her dad encouraged her to do a golf radio show, even though her station didn’t have any sports programming. Years later, someone approached her about doing a golf talk show. It was weird and perfect. At first, she was worried about running an hour long talk show, her experience had not prepared her for that. She was very nervous, but went ahead anyways. The person at the radio station loved it. She was able to expand it, find other radio stations that wanted to have the show. She started streaming it, and here she is today. Her dad came from England. He saw America as a land of opportunity. 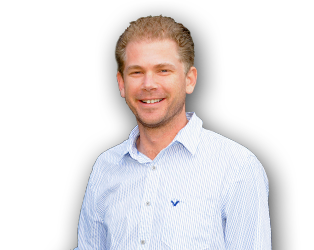 His proficient golf abilities allowed him to create great business contacts. He ended up in LA where he heard a radio show about golf. He knew golf was growing in the United States and that’s when he began encouraging his daughter to pursue a radio show talking about golf. Danielle used to work at an indoor golf facility. Over the years she has played lots of golf. She does traffic reports in the mornings and afternoons for five radio stations and on television. On Saturdays, she does her radio golf show. On Sundays she tries to get on the course, but all her work keeps her busy. She stays up to date on the game. she is engrossed in the game; but she needs work to carve out time for, if not 18 holes, at least nine. When she’s on the course, she just wants to stay out there forever. Danielle began her radio show about 1999 when Hawaii had a lot of impressive golf events going on. Pacific Golf Academy, Danielle’s workplace, was approached by a radio station to see if they wanted some advertising time on their station. Instead, The Pacific Golf Academy asked about doing a radio show for the station about golf and they were able to find sponsors to help pay for the air-time. I am paid to do what I do for a living. I work for a corporation that owns radio stations. I’ve worked in the business for a long time and my credibility is very good. People respect and listen to me and trust that what I tell them is accurate and fact. I have my credibility. The Golf Club Radio Show: The radio show is live 10am on Saturday mornings streaming online at RadioGolfClub.com. 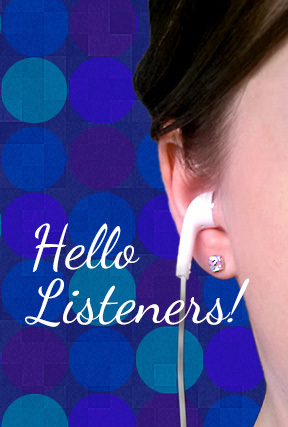 After each episode the programs are uploaded as podcasts to listen to any time. She has callers from around the world, all involved in the golf industry. Some of her impressive guests include Peter Alice, Arnold Palmer, Alice Cooper, Bubba Watson, Ben Rice, plus people who either do broadcast or architectural work and a lot more. If you’re going to listen to one episode, Arnold Palmer and Bubba Watson were great interviews. The most irreverant and the most honest interviews were Peter Alice and Ben Rice. They talk about golf as they see it. They weren’t afraid of saying things that might make waves, or rock the institutional world of golf. Usually her older guests are not as worried about saying things that might be disruptive. For me to look back at myself and what I’ve done in the past. I’d probably be very uncomfortable listening to myself. Because as I’ve gotten more comfortable I became better at making other people be comfortable being on air. The show allows her to get outside of the ever-confining radio tactics. She remembers the business of radio used to be free flowing; for the people on the radio they were deciding and doing things instataneously. It was art. Then corporations took over and now things are much more controlled. There is no spontaneity left in the business. Doing my golf show is a constant spontaneous moment. Advice: Her advice for someone who wants to start a radio show or a podcast would be: be willing to work for no money, hope that you learn a whole lot in a very short period of time, keep your ears open and your mouth closed, and practice. Talk, read out loud, express yourself, do the show for your family, friends, or dog. You can’t be afraid to say what you think. It’s a passion that you may not be rewarded for financially. She says, “I don’t recommend that anyone give up their job and look for a gig in radio or do a podcast and expect to actually feed themselves. You have to want it so bad that you’re willing to keep the job that you don’t necessarily like. Find a place where you can become successful inside yourself by expressing through a podcast the thing that you like to talk about. So when you go to work, at least you have a place where on the other side, that part of you that needs desperately to be fulfilled is being fulfilled through this additional outlet.” It’s a hobby. From her experiences she’s learned confidence, to be comfortable with herself, and to laugh in the face of almost anything. Different people gravitate to different personalities. “We all learn differently, we all hear differently.” Insight: Most successful people don’t think they’re successful, because to be successful you have to be pushing yourself to be successful. There comes a point where you might have an off day, and your audience will allow you that, but they won’t all multiple off days in a row. You have to be striving and making yourself – reinvent yourself, it’s the biggest cliche ever. To me that means, I want to learn something new today, I want to challenge my brain today, I want to bring something new to the table today, I don’t even know what that is, but I’m going to open myself up to find it. That to me, I think I’m successful. I’m never satisfied with what I’ve created. I might be happy with it, it might be rewarding, but I know I could have done it better. The hardest thing to do in the business of radio is to listen to yourself. I don’t know anyone in this business of radio who likes the sound of their own voice. When you’re listening to yourself you’re not hearing yourself, you’re hearing the tape in your brain. You’re hearing the moment in your head and that’s what makes you uncomfortable. I’m am a sum of being a mother a grandmonther, having supported myself through college without any help from my parents, paying off my college loans by myself, finding a job, working three jobs while going to school, working for free for two jobs, then having to find a job to keep another job. To me right now success would be to be able to retire and say “yo, let’s play a round of golf, the sun’s out.” My son says I was the best mom. My grandson misses me. Hearing my son and grandson say that, it doesn’t get any better. Now go out there and find your success! This entry was posted in Episode 074: Radio Golf Show & How A Job Can Allow You to Pursue Your Passion | Danielle Tucker from RadioGolfClub.com and tagged Danielle Tucker, Define Success, Defining Success, Golf, Golf Radio Show, Interviewing, Passion, radiogolfclub.com, Social Golf, The Golf Club Radio Show, Zeb Welborn, Zeb Welborn Golf on April 15, 2014 by Admin.